As fellow Talent Acquisitionists we’re constantly focused on meeting our targets by recruiting the needles from the haystack with the desired calibre. While that’s good we also need to be aware of the changing scenario across the Globe and how it can affect the Indian Market. Well the future seems grim but we’re optimistic so who knows the tables might just turn anytime, so stay connected with us @SourcingAdda to receive real time updates to our upcoming sessions, events and activities. In the meantime you’ve got lots to think about so we’re leaving you to your thoughts do let us know what aspects you’ve covered we’d like to hear from you. The WhatsApp Group Chat addressed a common challenge that Talent Acquisitionists, Recruiters and of course HRs face currently when it comes to MNC hires. Sourcing ADDA being a community for Talent Acquisitionists, Recruiters and HRs with a focus on the Indian Recruitment sphere we’re glad to host our popular Wednesday discussion sessions that address such challenges. Based on the interesting conversation above we can conclude that the discussion was insightful with a lot of takeaways. Since you’ve read this far then I’m sure you’d like to go that extra mile to find out what are the key takeaways of the discussion which can be highlighted on 2 aspects i.e. at an individual and employer level. Avoid selection bias towards brand, scale experience, drawing conclusions based on exposure alone, stereotype errors and interview biasness. All of these aspects should be taken in to consideration by the interviewers and the interviewees when it comes down to hiring and to ensure that you achieve your objectives successfully. If you’d like to be part of these discussions then make sure you follow us @SourcingAdda. 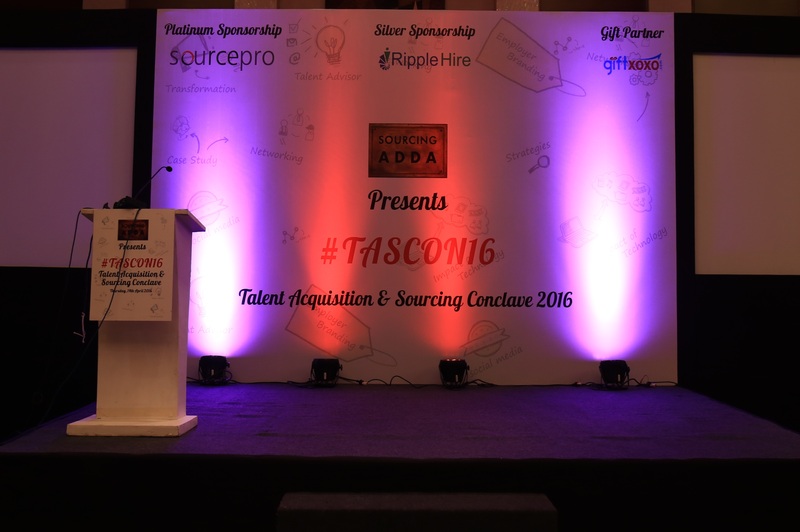 The Talent Acquisition & Sourcing Conclave (TASCON) had an amazing start with the launch of the #SelfieContest and the trend followed for #TASCON16. As usual the event began with the attendees being informed about the various activities that were conducted such as the Best Twitterati & Selfie Contests, to “Jot down one thing you learnt today” and the two Wild Card entries for the Mega Sourcing Premier League. Prior to the event Sourcing ADDA launched the #SelfieContest where the winner would be judged on 2 parameters namely if they got maximum retweets and likes on Twitter for their Selfie. The idea behind this was to bring out the creativity within the participants in a fun learning environment. Here the attendees were asked to share the team’s or a personal trend they were following for #TASCON16.This helped us realise that we as hosts weren’t the only ones excited about #TASCON16 but even the attendees shared the same excitement. Thus the excitement began with Yusuf & Aishish clicking their #Selfie and mentioning their trend i.e. “Sultan & Bajirao selfie! #selfiecontest #TASCON16” Tweet. While these activities marked the beginning of #TASCON16 we had two more activities to keep the excitement and enjoyment going. These activities were the Best #Twitterati Contest and to jot down one think you learnt today with the continuation of the #SelfieContest. We had yet another Contest i.e. the Best #Twitterati where the winner would be declared based on 3 main criteria namely, most creative, amount of and engaging Tweets. The winner of the contest would win exciting prizes to create a fun learning environment. We had arranged a Standee with the statement “One thing you learnt today!! !” where all the attendees had to write one thing they learnt at #TASCON16. It was a revision to everything that was learnt and what they found most effective in their line of work. The winners of the activities would be announced at the end of the event, when tweeting the participants were requested to use the hashtag “#TASCON 16 and for the contests #SelfieContest & #Twitterati”. The two wild card entries were selected from our previous Sourcing Contest winners. Here too we had a Lucky Draw with the winner’s name chits placed in a bowl. The Two Lucky Draw Wild Card entries were thus selected. They competed with each other in the Mega Sourcing Premier League Challenge that was held live at the event but more of this later. If you thought the fun ends here well you couldn’t be more wrong. Some of the Speakers and Sponsors too joined in with their creative activities to make every ones experience more enjoyable and fun. 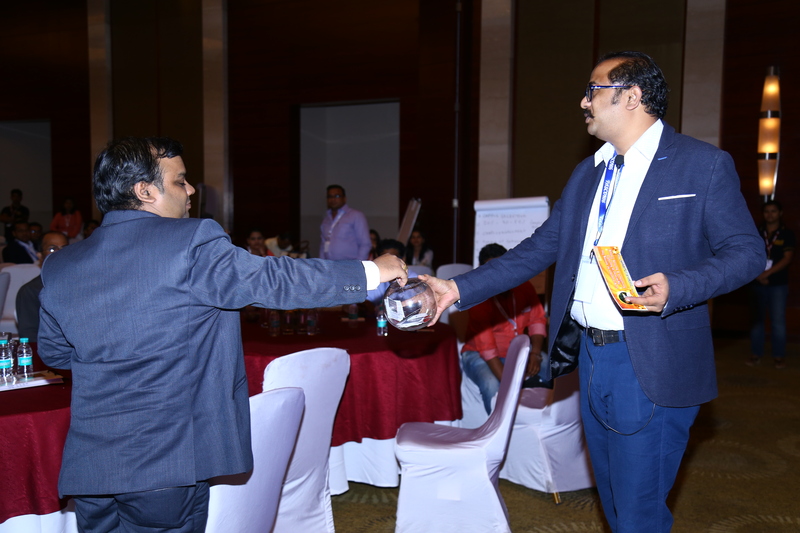 SourcePRO had organised fun activities and informed the audience of these activities such as a lucky draw, distributed discount coupons and a challenge of their own. Here two drop boxes were arranged at the registration desk. The registrants were asked to drop their visiting cards into the boxes to get listed for the Lucky Draw. 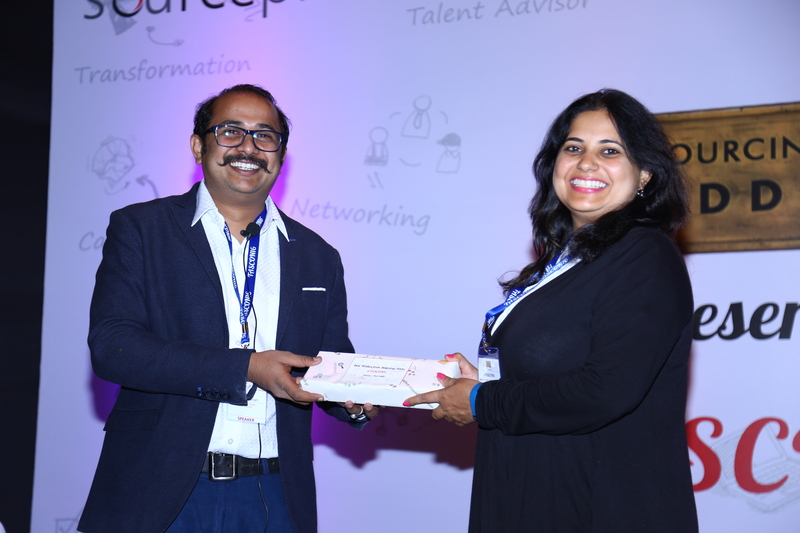 The Lucky Draw winner would be treated with a free SourcePRO (@TheSourcePro) Talent Sourcing Training & Certification Program. To keep the attendees busy and to interact with them during the networking breaks even Ripple hire conducted an interesting activity. They had a gaming station with a bowling game which was a success as it kept the audience entertained and engaged. In order to keep the excitement going on even Little Internet had a treat of its own. They had an exciting card game to keep the audience engaged and even distributed gift vouchers with interesting discounts that were great! The opening session was conducted by the keynote Speaker Aadil Bandukwala (@aadil) who spoke about Big Data & Social Media where he had an activity for the audience. Here he showed 3 slides with company logos where the audience had to guess what was unique about all the 3 slides. When no one could answer he mentioned that not even one company was repeated. A Session to watch out for!! Being the last session the Speaker Srikrishnan Ananthanarayanan (@im_srikrish)wanted people to be active and feel refreshed before the session started therefore he conducted a few activities as well. Call someone who you’ve not called for a long time and you’ve always wanted to but were interrupted. It helped a great deal as we were able to stay in touch with the ones we’re all too busy to interact with. In an attempt to boost learning there was an exercise conducted which was a Lucky Draw. Here the attendees were asked to check their chairs as an envelope was taped underneath them. Once checked they were asked to send it to the Assistants. The attendees were supposed to follow these instructions but as per the instructor they submitted the envelope to him instead. This indicated what we as Recruiters do. We rush to submit candidates without understanding that there are other aspects that need consideration. Hence it is important for us to understand that there is a framework for everything to happen. Put simply what we did was a postman’s job and we need to think creatively as times have changed. 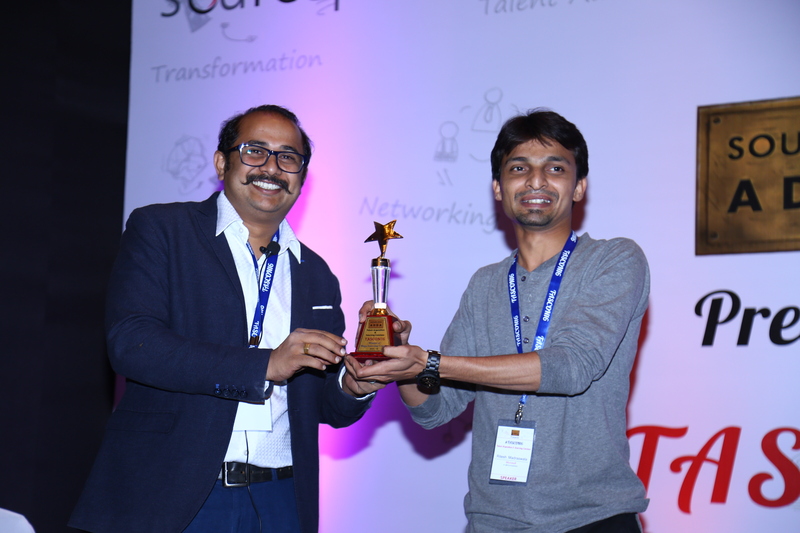 #TASCON16 was a huge success leading to requests from attendees for #TASCON17 to be held and last but not the least the winner for the #SelfieContest was Mitchell Dudani (@mitchdudani), Best #Twitterati Contest was Anshuman Mukherjee (@anshumanhr) and the Two Lucky Draw Wild Card entries were Tatyasaheb Kolage (@Tatya_Kolage) & Rakesh Suvare. 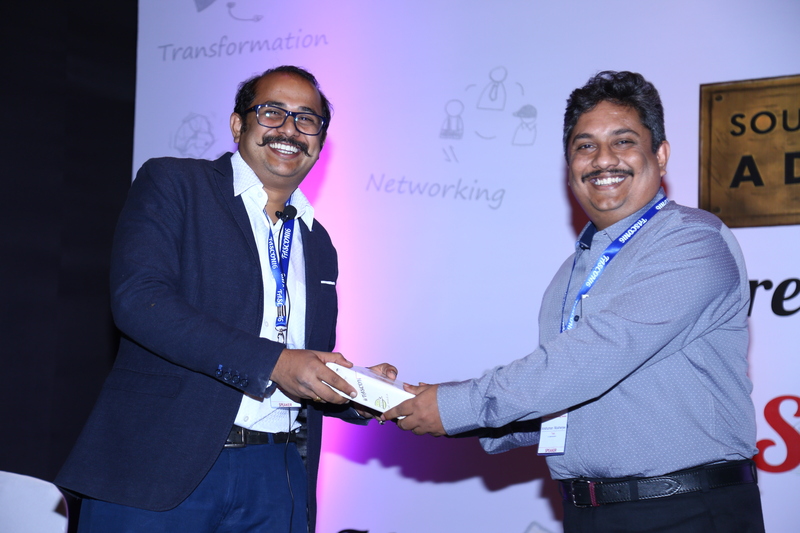 While the SourcePRO Lucky draw winner was Parth Gupta from Passions. 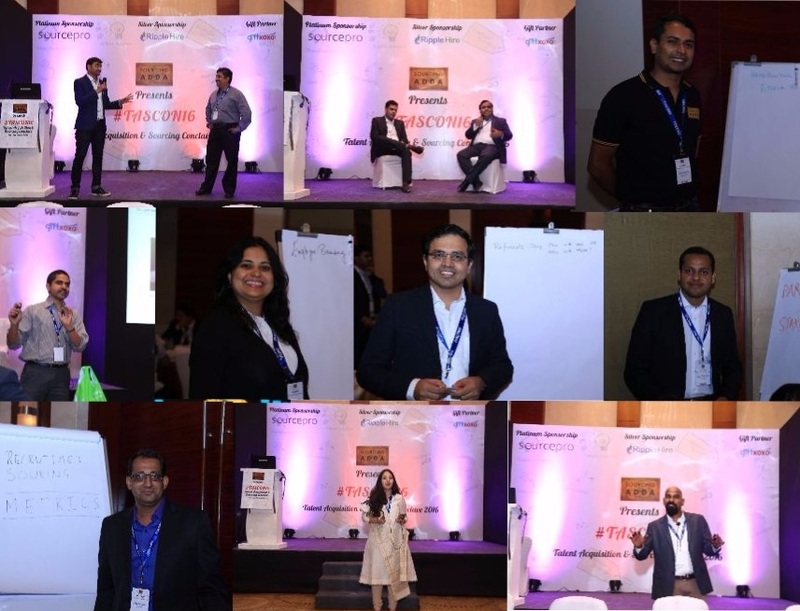 Now wouldn’t you agree that #TASCON16 was a huge success? Stay tuned to know more follow us @Sourcingadda about the event that we all thoroughly enjoyed. Whats App Group Chat – How to adjust your Recruitment Strategy to Recruit Remote workers? The weekly Whats App Group Chat Wednesday Discussions just got so much more interesting with a topic that wasn’t spoken about until now. It was surprising how we’ve not really thought about it or had a discussion on before now while we were aware of a possible development in the Talent Acquisition Industry that we’re all passionate about. Well this brings our interesting conversation to an end with a lot of things to think about and key take a ways that are sure to assist you in some way or another. Based on the conversation above we can conclude that there is a slight possibility that “Remote Hiring” could be where the Talent Acquisition Industry might be heading. Now this is something that’s worth a thought, don’t you think? In the meantime you too get be a part of the action by joining us in these discussions so be sure to follow us @SourcingAdda for real time updates to our upcoming events.